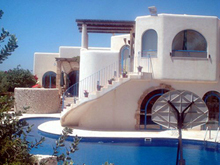 In Aloha Caesarea - Real Estate you will find the largest photographed selection of villas for sale and rent in caesarea and it's suroundings. In Aloha Caesarea - Real Estate you will also find the largest selection of residential apartments and vacation apartments for sale and rent in caesarea. In Aloha Caesarea - Real Estate you will also find a verity of real estate assets, with modern and prestigious designs built as palaces, and a wide range of well kept houses in senior neighbourhoods and apartments starting from 250,000$. In Aloha Caesarea - Real Estate you will also find a verity of vacation apartments with a heated and roofed swimming pool at winter, sauna, squash hall, accessorized gim with the best enhancements, playgrounds, members' club, basketball courts, tennis courts and miniture golf. all included in price. Caesarea real-estate with a hyphen, Caesarea real estate without a hyphen... as long as it's real, we are there! 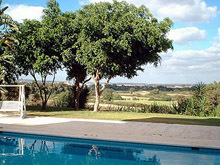 ALOHA CASAREA ISRAEL REAL ESTATE IS THE MOST ADVANCED REAL ESTATE AGENT IN CAESAREA ISRAEL.